The Washington Capitals went 2-for-4 with the man advantage last Wednesday night en route to a 5-2 win over the Pittsburgh Penguins. The next night, the Ottawa Senators went 2-for-5 on the power play to spearhead a 4-1 victory, the first time the Penguins lost back-to-back games since Mike Sullivan took over. Saturday night, Detroit notched one goal in four tries on the man advantage, including a backbreaking goal by Mike Green that broke the game open. Noticing a pattern? The Penguins' penalty kill has been a bone spur for much of the season. 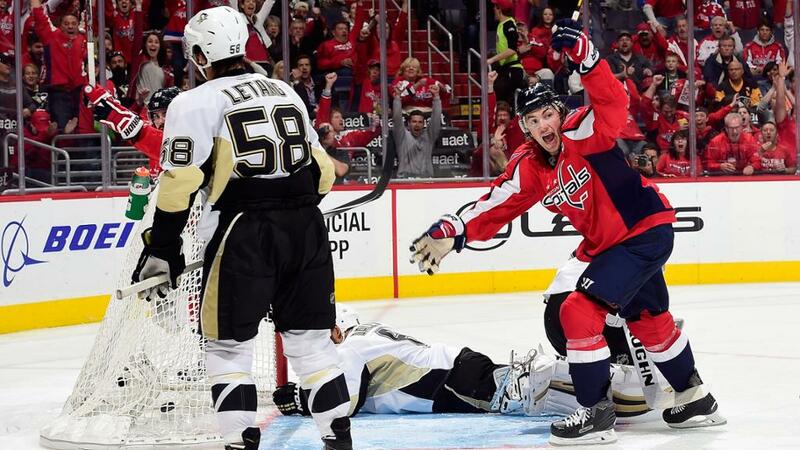 Coincidentally, it was the penalty kill that sparked a furious comeback for an 8-7 overtime win in a rematch with the Capitals on Monday night at PPG Paints Arena. So the brief losing streak the Penguins are on has been snapped, but the PK unit is continuing to raise some eyebrows. Heading into Monday night, where they went 3-for-4 on the kill, the Penguins penalty killing unit was ranked 25th in the league with a kill rate of 78.2 percent. The reason this is so surprising is because during the Sidney Crosby era, that group has traditionally excelled. Excluding the lockout shortened campaign, the Penguins PK unit has ranked no lower than ninth since they won the Stanley Cup in 2009. Earlier this year, the Penguins struggled clearing pucks during kills which translated into mediocre PK numbers. They also gave up a ton of shots, and marched one-by-one to the penalty box. The Penguins are allowing 55.7 shots against per 60-minutes of shorthanded ice time. That's good for 25th in the league. They've also struggled in the faceoff circle, winning just 43.6 percent of draws in the defensive zone while shorthanded. Faceoff percentage was one of the reasons why their power play thrived during a hot streak earlier this season. But penalty killing is often simple: win faceoffs, collapse the box and keep traffic from being in front of the net. Not the best camera angle, but here there is plenty of space for the Senators to the puck and a relatively un-obstructed Senator perched in front of the net. Head coach Mike Sullivan has lamented his team's struggles, but they've yet to develop the kind of consistently that has become a staple in Pittsburgh. And with 38 games remaining, it's still a work in progress rather than a finished product.